The Christchurch pub has been going strong for over a century. Outside The Lord Ed in Dublin 8. IF YOU’VE EVER passed through Christ Church, chances are you’re familiar with the green and red facade of The Lord Edward, one of the city’s most enduring bars. The pub has been operating in its current incarnation since the turn of the twentieth century, but it is believed that the site has been home to a licensed premises for hundreds of years. For decades, it was run by the Cunniam family, but nowadays it’s owned and run by James Lyster. His father’s family ran The Glimmerman in Stoneybatter once upon a time, so they were steeped in the trade. “My father was in the bar game and he stayed in it,” explains Lyster. He [Lyster's father] became a waiter in New York and moved back and bought a pub in West Cork where I was reared. Then he wanted to come back to Dublin so he bought the pub back in the 1980s. At the time, the building was home to a bar, upstairs lounge and well-regarded seafood restaurant. The restaurant was opened by the Cunniam family in the late 1960s and remained open for 47 years. The Lord Edward. My favourite pub in Dublin. Used to enjoy a pint of plain in here in the good ol days. Unfortunately, Lyster was forced to close it in 2015 as it became a victim of the economic downturn. “My father had great years in it and he loved the restaurant. I think he was drawn to the bar and the lounge for the restaurant. He was always involved in restaurants in New York. Instead, they decided to concentrate on the bar and lounge. Lyster says the bar has remained virtually untouched since the early twentieth century save for the odd facelift here and there. It’s an area of the pub that Lyster has a special personal fondness for. I like the bar. I like sitting at the counter. I like sitting at the window. I like if you’re with a group in the corner. I like the whole package. The cosy upstairs lounge, meanwhile, is a perennial favourite among customers. It’s the type of hidden gem that people stumble upon and don’t want to tell anyone about for fear that the secret will get out. The pub attracts all sorts. From actors rehearsing in Smock Alley Theatre to workers from the Four Courts having an after work pint of Guinness, it’s a stomping ground for people from all walks of life. It’s increasingly popular among tourists, sandwiched as it is between Christ Church Cathedral, Dublin Castle and St. Patrick’s Cathedral. They also have a strong local trade. Even those no longer living in the area still regard it as a local of sorts. Lyster also says its location lends itself to serving as a meeting place. The pub has been in situ for over a century now and is part of a dying breed of old, unpretentious pubs in Dublin’s city centre. That it has managed to withstand the test of time and be embraced by generations of Dubliners is testament to its character. 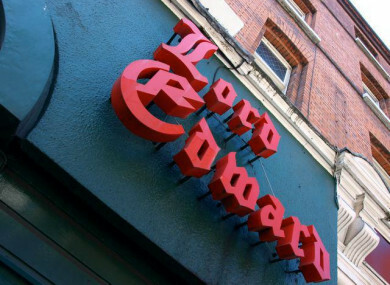 Email “'It's a real meeting house': Why Dubliners still flock to The Lord Edward for a pint”. Feedback on “'It's a real meeting house': Why Dubliners still flock to The Lord Edward for a pint”.